Headquartered in Northbrook, Illinois, ISSA helps members and their employees make valuable network contacts via trade shows and to increase its members' professionalism and success via web and by offering business tools, educational products, industry standards, publications, and legislative/regulatory services. ISSA's membership includes more than 7,000 distributors, manufacturer representatives, building service contractors, in-house service providers, and associated service members. Its goal is to increase the appreciation of cleaning as an investment in human health. The VDTA-SDTA is an association of independent floor care, sewing machine, and quilt shop retailers. Its members seek to help consumers make better, more informed purchasing decisions. The CRI's mission is to provide science-based information about rugs and carpeting, from care and cleaning to improved air quality and related health benefits. Its Seal of Approval certifies superior carpet cleaning equipment and products. Its Green Label Plus ensures that customers purchase the lowest-emitting carpet, adhesive, and cushion products available. CRI's initiatives help to protect air quality, extend the lifespan of carpets, and lead to smarter buying decisions on cleaners and equipment. The Carpet and Rug Institute's Seal of Approval/Green Label certification combines CRI's Green Label indoor air quality vacuum program with enhanced cleaning standards to identify top-notch vacuum cleaners. The SOA/Green Label certification recognizes two types of vacuum cleaners: general-purpose vacuums appropriate for use on all conventional carpet styles, and vacuums specifically approved for use on low-pile carpet or carpets with surface texture measuring less than or equal to 1/4". This green building certification program recognizes best-in-class building strategies and practices. Buildings that are LEED-certified save money and resources, and positively affect the health of occupants while utilizing and promoting clean, renewable energy. The Mohawk Group provides soft carpet care and maintenance information that is designed to extend the life, appearance, and performance of soft carpets. This group also offers advice on selecting soft carpet vacuum cleaners, vacuuming tips, and insists that regular vacuuming as the most important maintenance task for soft carpet owners. The Shaw Contract Group helps consumers find carpeting that meets their individual needs. Its products are manufactured with "safe and healthy ingredients," and offer reduced environmental impact. The AHAM is a trade association of the home appliance manufacturing industry, supplying the industry and its customers with leadership, advocacy, and a forum in which to develop and implement solutions for public policy, standards, and business decisions. Its AHAM Verifide certification program/mark signifies that its products' energy consumption ratings are consistent with measured energy consumption. 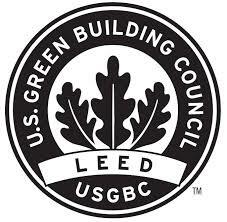 The Green Seal offers third-party certification based on leadership and sustainability standards that help protect the environment and human health. This non-profit organization has been promoting sustainability since 1989, and uses science-based programs to create a more sustainable world. Harvard's Facilities and Maintenance Operations (FMO) is the first cleaning service in Massachusetts to have achieved Green Seal certification, and is the first in-house cleaning service in higher education to receive this certification. Its services include carpet and upholstery extraction, event setup and support, and round-the-clock emergency support.